on language, food, humility, and humor. My travel schedule for work this year has put me into over a dozen countries on six continents. If it weren’t for the amazing English language skills of local people, my work would pretty much be dead in the water in most of these places. My multilingual colleagues and translators allow me to utilize my skills in places where I would otherwise be unable to ask for a glass of water or place to poop. 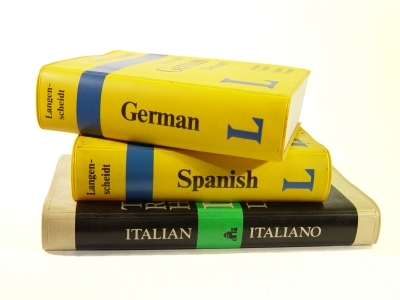 Whereas in many places in the world, children grow up speaking 2-3 languages out of the starting blocks, I didn’t begin to learn a second language until high school. I learned German – und Ich habe fast alles vergessen – which came in handy as an exchange student, but for lack of use has all but disappeared from my linguistic tool box. I took up Spanish as an undergraduate, which proved more useful when courting my Bolivian girlfriend (now wife), although there were plenty of mistakes along the way, like forgetting that “to like” is a reflexive verb. The first time I tried to express how I was feeling, I ended up announcing to her great annoyance, “you like me, you like me a lot“. I’m fluent now, which is nice because I can communicate directly with an additional 400 million people on this planet. “¿Me podrías dar un vaso de agua por favor? y ¿Donde esta el baño?” See, pretty damn useful. I’m doing my best to learn French now. Actually, that’ a lie. I put a copy of Rosetta Stone French on my computer, so my pocket book is doing its best, but I’ve been too busy or lazy to really prioritize it, which has positioned me well to both entertain and offend when working in places like West Africa. We expats and world travelers all have lots of really funny anecdotes of our language faux pas – being asked if married and replying “a little bit, but I should be better by morning” (confusing casado – married with cansado – tired), announcing we’re quite pregnant following last night’s drinking binge (confusing embarrasado – pregnant for vergonzado – embarrassed). These things happen. It’s dreadfully embarrassing in the best sort of way; it leaves you more humble but without lasting emotional scars – so long as you can laugh at yourself. Because language is a bit like food. People just love it when you make an effort to eat their food. I was in some remote village once in the middle of …where was that…Uganda? Chad? Any way, I was talking with some community volunteers who were recalling the last time they had an American visit their village from World Vision. “Hey, do you know so-n-so?” they asked me, a bit naïve to the size of my organization. But, in fact I did know this person. “He’s such a great guy!” they exuded. “Why do you say that?” I asked, curious. “He ate everything we gave him,” one exclaimed. And the rest all nodded vigorously and happily at this. “Do you know who this man was?” I asked, pressing the point a bit. They recalled that he was an American and from World Vision and again applauded his culinary enthusiasm. What they didn’t recall about this person was that he was the International President of World Vision. What left a lasting impression on these folks was not the man’s position, but his willingness to lift his fork and dive into their culture. He embraced part of what defined them without hesitation or judgment. He received from them without turning up his nose at what they had to offer. I’ve got a rule when I travel – I eat or drink whatever is given to me by the communities I visit. I know that sometimes this will make me sick, but that’s a price I’m willing to pay. (I’ll spare you the details of my 12 hour bus ride yesterday from Djenne to Bamako.) There is no faster way to connect with people and build a small platform of trust than to share a meal – their meal – together. I have yet to break my rule in hundreds of towns and villages in over 30 countries – and I’ve put things in my mouth that would make Andrew Zimmern proud. Now granted, nobody offered me Balut last month when I was in SE Asia – a fertilized duck embryo that is boiled alive and eaten in the shell – that may have pushed the limits of my commitment to this rule. I once had to deliver the results of a month-long audit to a group of several hundred local workers in an East African NGO office. For reasons I can’t share, the future of this office was being staked on these results. The tension that had been building over the course of the month had reached an unbearable limit. The moment had come to find out whether they’d all be out of job or not. I rose from my chair and delivered a paragraph’s worth of good news in Swahili. I had spent about 30 minutes practicing saying it with my translator so that it would sound just right. It just seemed proper for me to deliver such a verdict in their language, rather than mine. Several came up to me afterwards and confirmed that it had been a meaningful gesture. Now, I know that I can’t learn much more than a handful of words in the local language in most places I go, and usually these are the ones that people take pleasure in teaching me – I can say at least one dirty word in over a dozen languages. It may take me another few years to speak French with any confidence, and I recognize that this will be my third colonial language, which allows one to communicate with a large portion of the World, but for most communities it’s still not really their language. Even so, I will continue to make an effort to embrace that which is local, be it food or language, if only to remind myself that I am the guest, that my language and food and culture are just ones among thousands of similar inherent value. 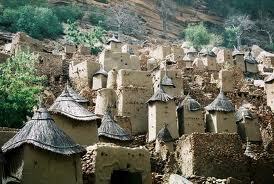 Since writing this, some friends that I made in Mali were in fact kidnapped in Timbuktu. I had been invited to join them, but explained that I had gotten some clear warnings from the WV Mali security team in Bamako. They decided to push ahead anyway, which is a totally valid decision – I probably would have joined them as well, but I actually had more fear of my wife finding out I had gone despite such clear warnings than I had of actually getting kidnapped. I stayed up to about 1:30 one morning with one of them, whose name I cannot share for the sake of his safety. He is described in the second article linked below – it is his wife who is now devastated. We talked about his life, his family, and plans for the future. I gave him a book I had finished reading. He and the others are good folks who took a risk to see the world and meet new people. They ended up being in the wrong place and the wrong time. Please keep them and their families in your prayers. hey man! If them foreigners don’t understand you, just say it louder! And by foreigners, in the context of traveling Americans, we mean indigenous folk. Thanks…a good and much nicer than I feel posting! What you really are saying is, be like Christ, and humble yourself when you choose to invade. ? Thanks Aaron for another interesting and fun piece! You do realise that not too many people (westerners) have the same outlook on this matter as you? Unfortunately, there are many who do not appreciate other languages and culture and see English as the “ultimate.” I am from Nigeria and remember vividly my first few months of being in Canada for the first time. I was determined to immerse myself in the culture. I worked on my intonation and tried to “lighten” my accent so people could understand me better. I even tried burger, poutine and salad within the first few weeks! I raise this because I find most westerners do not realise and appreciate the effort and concept of connecting with people. I find this to be especially true for westerners that are not well travelled and exposed to other cultures. As a visitor, connecting with the people/community relies a great deal on your efforts to mingle, and like you said embrace the culture and food. But I believe it also depends on the receptiveness and appreciation of the people themselves. They have to recognize that an effort is being made. Correct me if I am wrong but I find that other cultures (from Mali and Nigeria in West Africa to Rwanda and Uganda in the East) are very appreciative of people who try to embrace their culture, and they often times say so. You gave a good example of the village that remembered the American that visited them from World Vision. In North America however, I find the opposite to be the case. It is almost as if people “expect” you to eat burger and speak good English. Why is this the case? Why are most westerners somewhat less culturally-sensitive that their counterparts in developing countries/communities? I’m not really sure what the answer to your question is. I suspect it may have something to do with a fairly long and robust history of receiving immigrants in our countries who were either eager to assimilate as an explicit rejection of what they were leaving behind, or in response to the fact that they needed to in order to succeed in their new home. It is said that imitation is the greatest form of flattery, and too much flattery can go to your head and make you proud. I do think there is a lot to admire in the American and Western cultures, but – and you note this – as someone who has traveled extensively, I have also seen a great deal to admire and imitate in other cultures. But, unless you have yourself gone through the pain of culture shock, new language acquisition, the trauma of adjusting your food and patterns of living, it is hard to appreciate just how difficult assimilating or even just getting comfortable in a new culture can be. If you are at home in your own culture, it may be hard to understand what is so difficult about others feeling at home in it. All of this said, I’m not entirely sure that I agree with you that westerners are less culturally-sensitive than their counterparts in developing countries/communities, if by counterpart you mean other people who have also not left their home culture and attempted to immerse themselves in something foreign. Thank you for your comments and your readership. 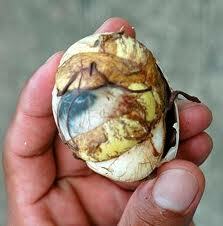 Actually, Balut is not so bad. In Southeast Asia It certainly won’t make you sick unless you think about it too much. Once, sitting with Lao friends, I was offered what appeared to be a hard boiled egg. When I bit into its soft center & found blood I told them that I thought something was wrong with it. They offered me another, and the same thing happened. When condescendingly I explained that sometimes “stale” unrefrigerated eggs went bad & the embryo had begun to develop in these, they laughed & laughed. Eventually I was told that the eggs with fetuses were exactly as planned — much better than fresh eggs. Although I ate both of the eggs I had opened, I’ve yet to accept an offer of another. A similar experience had occurred the previous year, ironically during an Asian bird-flu epidemic. I was a guest in a small rural Laotian village, and after an afternoon of conversation lubricated by Beer Lao, one of our group went across the road to his house, returning with a live duck. Within an hour the harvest began appearing after the always present Lao sticky rice. First there was the white meat. Then the dark. Then the parts that I usually do not eat. Finally there was this beautiful presentation that looked a little like a pizza but with oregano sprinkled on top. I couldn’t wait to try it, and as the visiting guest, given the first opportunity to do so. It tasted great. But it was not pizza. While into my third helping it occurred to me that it almost certainly was from the duck. But how did they make this wonderful concoction when seemingly all of the other parts of the bird already had been served? It was then that I realized the obvious. Subsequent inquiries to Lao-American friends confirmed that it was blood (uncooked) floating atop a bed of liquid fat (the edges of which surrounded the blood presenting an illusion of a pizza crust) & garnished with fresh-from-the-garden herb leaves. Poured onto the hot broth, the blood becomes slightly coagulated. You really must try it! How many Beer Laos had you had? I think Joe Rogan has a job for you. Thanks for sharing Bill. Plenty. Evidenced by requiring 2 servings to figure out what I was eating, and it tasted good even then. Because there were about 6 of us eating it, there was no opportunity for a 4th ball of sticky rice saturated by the blood and drippings. Your article was humourous and so accurate. I have only traveled out of the US a few times but for many years I was in a position of having to train others who were traveling to other countries to not be the “ugly American” and to teach them what to expect and appropriate ways to respond and act all with moderate success. My own pet peeve however is with written language so I feel a need to correct your French. I believe it should be: “Je ne sais pas” not “Je ne se pas” but perhaps I don’t understand. I am not very literate in French so its not out of the question that I am wrong but I am trying. Your not French are you? 🙂 Pet Peeves aside, we all have to keep trying, bumbling forward, hope we succeed in communicating where we fail at grammar. Thanks for helping to keep us a little less ugly out there. I thoroughly enjoyed this post. Thank you. Especially the part about Kiswahili, the only language beside English in which I’m fluent. I have spent considerable amounts of my life learning it while living in Tanzania, and its easily the best skill I’ve devoted (lots of) time to. I’ve taught American students in Tanzania, and spend considerable energy conveying the importance of learning even a bit of it. Working in a Tanzanian school is probably the best/most horrific way to learn about language politics, as the school system there is split between Kiswahili and English with zero indigenous language representation. Kiswahili, while endoglossic, was still imported from Zanzibar as a nationalization tool by Nyerere. So in many ways, its not “their” language (their being 95% of Tanzanians). Perhaps that’s why Kiswahili and other lingua franca type languages straddling that gray area between indigenous and not are so interesting. They serve as real challenges to our understandings of what is “local” and “foreign,” “authentic” and “imported,” and, depending on you politics and experiences, “good” and “bad.” The dualities are broken down, and much more meaningful questions arise in their places: What power does the language add or subtract from an identity? Whose and what interests does language serves versus another and in what space? Kiswahili is so useful, but its generally not the vernacular language in most Tanzania communities (unless you are near Dar or in Zanzibar). People are much more impressed when I speak a few words of their indigenous mother tongue (124 of them in Tanzania alone) than they are in hearing complete fluent soliloquies in Kiswahili. Your comment about not being able to remember if you were in Chad or Uganda, two extremely different landscapes, cultures, and lexical formations, points to the negative effects of learning only a few token words in dozens of languages on one’s commitment to the specificity of place and the unique character of every square inch of our planet. To be universally qualified to function on a rudimentary language level anywhere comes with a price, a lesson I’ve learned from knowing only Kiswahili and none of the 125 indigenous languages of Tanzania. Thanks once again for the thought-provoking post! Thank you for your comment Joseph. They are thoughtful and thought provoking as well. Not being able to remember if I was in Chad or Uganda may point more to the negative effects of growing older coupled with traveling 50% of the year. But, yes, point taken – let’s not forget the superficiality of learning a few token words and trying some unique foods – a couple of words and a bowl of strange food do not a culture make. We should be careful not to be overly self-congratulatory about our efforts to engage local culture, but rather should be humbled by just how shallow a slice we can hope to experience even with our best efforts and intentions. I’ve spend nearly 7 years living in Latin America and I’m still totally hopeless half the time! 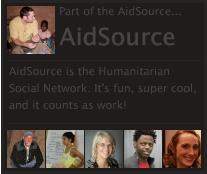 Thanks for reading; thanks again for commenting; I hope to hear from you again. “…a couple of words and a bowl of strange food do not a culture make” says it very well. Having a long-used brain & being language-deprived by an upbringing in USA, it’s not possible for me to duplicate Joseph’s achievement in Kiswahili. Most of the local people I meet when traveling want to practice their English, so there’s little opportunity to learn more than a few words. It’s when they have good English skills and there’s lots of time to talk that my absorption of their culture is most gratifying. My language deprivation is not as severe as most Americans. The best advantage came from studying Latin in the 9th grade with a teacher who had dedicated most of her life to it. Spanish taught by native speakers as a junior & senior in high school & as an undergraduate in liberal arts.primed me for spending a half hour a day for a year talking with my Puerto Rican secretary in her language. Yet subsequent traveling extensively in Mexico & Central America were not enough to make me “fluent” in my second language. That’s why I envy many Lao who speak American English effectively and progress with it quickly. It’s at least their fourth spoken language: As toddlers, the first language they learn is their village or ethnic language; soon they learn Thai because they watch Bangkok television. When they go to school, they learn Laotian. Some who go to college or university learn French Vietnamese or, increasingly, Mandarin. The result. it seems, is a powerful ability to communicate about their cultures and understand mine on many.levels. Just a point about Swahili in Tanzania – it was spread through Tanzania not by Nyerere but by the German colonisers as early as the 1890s. before then it spread up the slave trade routes into Congo. In Tanzania it has been the primary school medium of instruction since way back then. It was also then that the spelling was standardised into its present beautiful phonetic form in the Latin alphabet (it had once been written in Arabic style script). Many many countries envy Tanzania (and, in practice, Kenya) for having a single African unifying language. For countries speaking mainly Bantu languages (only three of Tanzania’s languages are not Bantu, the biggest being Maasai and Luo) Swahili is familiar and very easy to speak and understand. The challenge for Bantu speakers is more at the vocabulary level as it derives many of its abstract, governmental and scientific words from Arabic (where English derives them from French Latin and Greek), In DR Congo, (also a majority Bantu-language country) up to half the population understand Swahili (and it is one of four national languages and a school language). There the new words come from French. So instead of afisi (office) they say biro (bureau) . Excellent linguistic info on Kiswahili. Thanks! That’s a good point about German colonizers spreading Kiswahili through specific linear routes. I was referring more to Nyerere’s nationalization projects, combined with Ujamaa villagization, that launched Tanzania on its literacy program with the creation of thousands of schools with Kiswahili as the medium which was a major project of his. Nyerere did undoubtedly spread Kiswahili in much more profound ways than German colonizers and made it the national language (together with English). I’ve met many many older generation people in Tanzania who barely speak it at all, and its because they weren’t exposed to the language as a child. They were too old to have enjoyed free education under Nyerere or not from the coast. It is interesting that there are different exo-glossic influences on Kiswahili depending on which neighboring country you are in. That’s interesting that there are only three non-Bantu languages in Tanzania. Do you know the third? I’m shocked at this because many local languages do not even come close to sounding like Kiswahili, and would be curious about how so many distinct languages formed from a single parent but sound absolutely nothing like each other. I’ve learned a bit of Kinyambo, Kimaasai, Kimeru, Kiarusha, and Kimaasai. The latter two are very similar (nothing like Swahili probably because of their Hamidic roots….maybe Kiarusha is the third non-Bantu?). Regarding the use of Kiswahili in primary schools, this is a highly contentious issue in Tanzania, as students then immediately shift to English as their secondary school medium….there is no segue. This reproduces social stratification as those students whose parents can afford English medium schools go there for primary school and are most likely speaking English much more at home. Kiswahili is rarely spoken in the home in more rural areas (many people still know it to some extent because they’ve been to primary school), thus presenting an even more stark disadvantage for students who much learn Kiswahili then English in order to progress through school and enter university. There is a burgeoning movement in Tanzania to make both primary and secondary school Kiswahili-medium, and, based on the abhorrent matriculation rates in Tanzanian public schools, support this movement. Thoughts?